We had the most amazing wedding photographer! Rebecca Ford at Ford Family Photography is a magical photographer. Her and her husband Barry worked our wedding and words can't express what an incredible job they did. They are such special people and they captured every part of our day. Here are a few of the collages she put together for us! My amazing blue shoes... read the story behind them here! What gorgeous images. I especially love the one with the rings and the shoes and the last one! GORGEOUS pictures!! 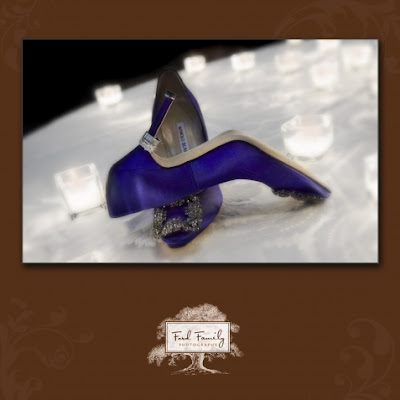 and of course...the shoes look beautiful too!! These pics are amazing!! I'm still in love with your shoes! The one with you on the stairs is breathtaking! What amazing photos! oh my gosh...the most stunning, gorgeous, amazing, lovely wedding pictures ever! and yours shoes...oh your shoes i am so in love! hmm im about to read the story behind them but are those the infamous carrie bradshaw heels from the movie? have a great day beautiful! shoes = fabulousness! && with the rings on them, so pretty!! the candy bar is so fun! okay, now i have to go back and look at some more posts...i'm behind! You hit the jackpot with these photographers... unbelieveable images. I love, love, love the one of your shoes with the rings around the heel. I know I said it before, but you were the most beautiful bride... the happiness is radiating from your face. Love it!! WOW! Your pictures are wonderful!! I am just now getting into the final stages of looking at photographers and it is so stressful because you want them to be amazing! And yours totally are! And the shoes and dress - love them!! You are too cute! Oh my gosh, those are some of the most beautiful wedding photos I have seen! Gorgeous! What gorgeous pictures! You looked amazing and you really picked a fabulous photog! These are breathtakingly beautiful Tracy! I adore the one of the rings on the heel of your shoe... the one on the staircase looks like it should be in a magazine. Perfect pictures from a perfect day. Beautiful, you looked fabulous. Can't wait to see more pictures!!! looks like the most amazing day! beautiful images that you wil cherish for the rest of your lives! Great shots. I am going to steal your shoes!!! Love them! Those are amazing!!! You were such a beautiful bride! I just love your collage, talk about awesome! 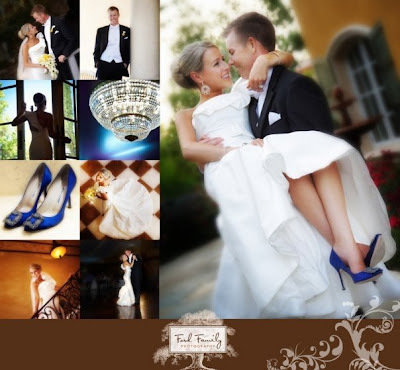 What beautiful photos, beautiful wedding, beautiful bride (and groom), and the shoes.... don't even get me started on the shoes! I love the shot with the shoes and the rings - fantastic! AMAZING! of course! i'm still in awe of your dress and shoes. you looked stunning! You look sooo pretty!!!! What a beautiful wedding! Beautiful pictures for a beautiful couple.... Rebecca and Barry captured it all! So gorgeous! Those pictures are amazing! 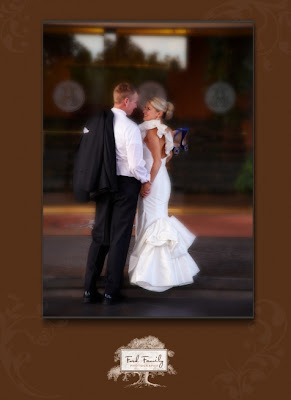 I am so glad I found your photographer on your website. Rebecca is an absolute doll. We do our family photos on the 24th of this month! Hopefully I will be able to share a few on my blog! Like a fairytale, darling! You both look amazing, as do the shoes... congrats! Those are absolutely gorgeous, Tracy! And, I love your blue shoes, too. aww Tracy these pictures are BEAUTIFUL! All of your pictures are incredible love! 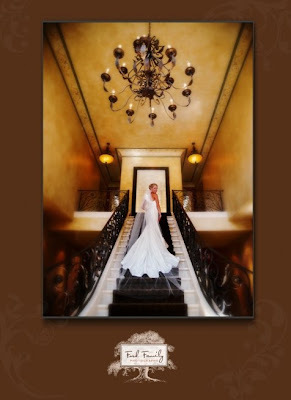 I love that villa and your dress just looks exquisite on the star case by the chandelier! 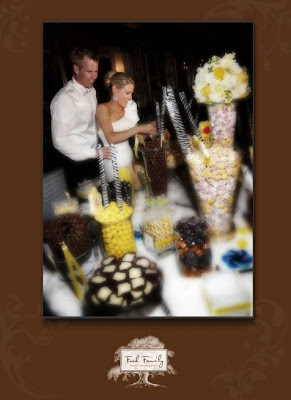 Also, that candy set up looks like a candy factory, how fun. I love love how the photographer used your shoes to show case your rings, okay, I think I am ooohing and awwwwing right now. He he so happy for how your pics turned out sweetie! These pictures are amazing! You are so beautiful, and I love your shoes!!! WOW! Your pictures are stunning! What an amazing wedding you had! I am following now! so beautiful! Every time I see your dress its like its my first glace at it again, I can never get enough! So gorgeous! I am so behind on my reader, but no more excuses, CONGRATULATIONS!!! I am so happy for you, you looked gorgeous on your day!! Those shoes are awesome. I got married on a beach so we didn't wear any shoes. But what a great story behind them, your husband is so thoughtful. You look stunning and your wedding looks like it was absolutely beautiful! Your photographer did an amazing job. Those look great! I'm so happy for you and we have to meet up for lunch or coffee soon! Oh, the shoes! I'm dying. We all hope to be as beautiful and as happy of a bride as you!